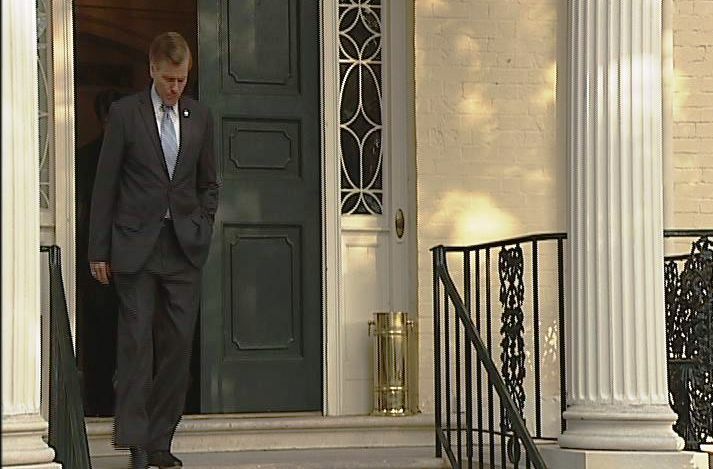 It is the last of a string of controversial measures in the explosive 2012 Virginia General Assembly and today Governor Bob McDonnell is ready to put it behind him. The Governor signed into law a measure that will tighten the requirements to prove your identification when you cast a ballot in an election in Virginia. Currently in Virginia, if you are registered but show up the polls without any ID, you are able to cast your ballot, but sign a sworn statement that you are who you say you are. The vote counts, but you could be charged with fraud after the fact if you vote under someone else’s name. Republicans have long criticized the practice as being an easy opportunity for voter fraud. This new measure would still allow you to cast a ballot without an ID, but that ballot would only be provisional and would not count until you can produce one of the acceptable forms of ID. Democrats angrily fought the measure and claimed that it was a GOP effort to suppress voters. In particular, voters who tend to vote for democrats, including minorities, the elderly and the poor. The Virginia proposal was one of many passed in state legislatures around the country, but the Commonwealth’s bill did not go as far as some which forced voters to produce a photo ID at the polls. In fact, while the Virginia bill tightened the requirements at the polls, it actually expanded what you could show to prove your identity. Currently a Virginia Voter ID card, a driver’s licence, Social Security card, government-issued ID or a photo ID from your place of employment are all accepted. The new law would also allow utility bills, paychecks, bank statements, government checks or a current Virginia college ID. In an effort to make sure everyone who wants to vote can, McDonnell is issuing an Executive Order requiring the Board of Elections to send new voter ID cards to every single registered voter in Virginia. This provision is addition to the current bill, which will now become law. The liberal group “ProgressVA” was not impressed with McDonnell’s efforts to soften the impact of the new restrictions. They called the move a waste of taxpayer funds. Fast forward to Wednesday afternoon, during what appeared to be a sleepy veto session. In what seemed like just a few minutes, The budget vote was brought back, this time with veteran democrat Chuck Colgan voting with the republicans. That one vote enough to break a serious deadlock and put a budget stuck in neutral back on the fast track. RICHMOND (WWBT)- After a bleak picture just 24 hours before, Virginia is one step closer to a final budget. Wednesday at the State Capitol, the Senate passed the measure by just one vote. What changed was the mind of one veteran democratic senator. 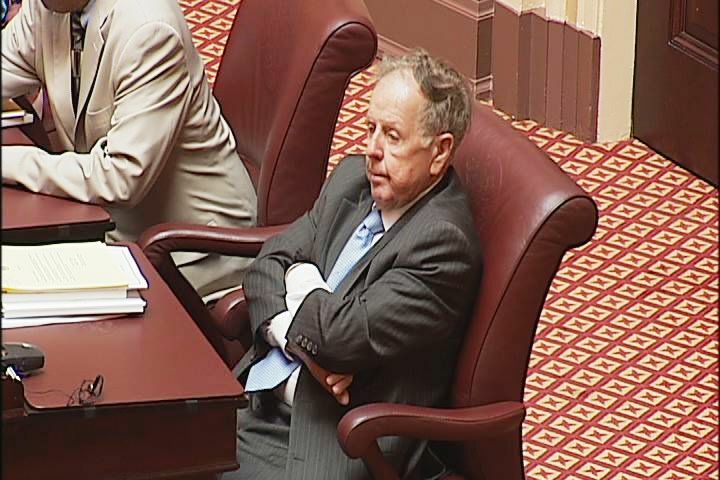 Sen. Chuck Colgan (Manassas) voted with his party Tuesday to hold up the budget, Wednesday he decided it was time to move the process on, capping a remarkable 24 hours at Capitol Square. There was no special deal, no grand bargain, just a senator with a mind of his own who decided the imperfect budget was good enough to pass through to the next phase of negotiations. Governor Bob McDonnell gave Colgan all the credit. “He has said for some time that he understands very well that we need to have a budget and the later we go in this process the more uncertainty and unpredictability and hardship that a lack of a budget will work on the citizens of Virginia,” the governor said. Colgan’s change of heart shocked nearly everyone, including Chesapeake Senator Harry Blevins who was en route to the bedside of his ailing wife. When the vote was being reconsidered, the State Police put out an all points bulletin to alert Blevins about his need to return to Richmond. He rushed back in time to vote, and then was flown by state helicopter to hospital where is where his wife is being treated. Meanwhile the governor’s attitude toward the budget process has improved greatly. On Tuesday he warned about a shrinking timeline and a dangerous fiscal position the legislature was putting the Commonwealth. Wednesday, after getting the Senate approval, McDonnell said that compared to the budget battles of 2004 and 2006, there is quite a bit of time to go through the amendment process. That is right, we aren’t done yet. McDonnell will now carefully review the final legislative compromise and offer up his amendments. His changes will once again need the approval of the legislature. Which means this battle could begin all over again. If you thought the election of 2011 was settled, think again. Virginia is in the middle of bitter partisan fight at a State Capitol historically known for its bi-partisan cooperation. It all tracks back to last November and an election that did not clearly hand power to a single party in the Virginia Senate. As a result, every controversial vote has come down to hectic, last-minute deals. Deals that often aren’t known until the vote is finally taken on the Senate floor. While the battles over social issues are over, democrats are holding on to the one remaining power they have left to play, their vote on the budget. Republicans cannot use Lt. Governor Bill Bolling‘s tie-breaking vote to pass the budget. Therefore, their 20 votes are enough to stop the $85 billion spending plan in its tracks. It’s allowed them to whittle away at GOP priorities and inject their limited voice into the Virginia government agenda. It was a tactic that was successful and despite some chirping from newspaper editorial boards, it went largely unnoticed by the public. Tuesday’s vote to stall the budget for the third time, for a third different reason takes the argument into new territory. Last week the Gov. Bob McDonnell led Virginia Department of Transportation warned that they will start scaling back projects on May 1st, just a few weeks away. Localities are waiting on funding decisions that could be the differences between staffing teachers and police officers or going without. It is a showdown that could leave the reputation of both sides at risk. RICHMOND (WWBT)- The threat of a Virginia government shutdown is growing after democrats at the State Capitol refused to pass a state budget. This is the third time senate democrats have stood their ground, for the third different reason. The division between democrats and republicans seems to be growing wider, and the time left to pass a budget is growing shorter. If the two sides don’t resolve their differences, state government as we know it is in big trouble. It is a warning governor Bob McDonnell first sounded weeks ago. He repeated it again Tuesday. “Everything from teacher funding to current VDOT projects will be slowed or potentially postponed,” said the governor. Without a passed state budget, the government can’t operate. The current budget ends June 30th. It is a date fast approaching with no tangible sign of agreement to be found. “They are the problem,” said McDonnell. No agreement, but plenty of blame to go around. “This is the most fiscally irresponsible act that I’ve seen during my career,” said McDonnell. McEachin is among the most vocal hard line democrats. A group that three different times has used their 20 votes to block the budget from moving forward. 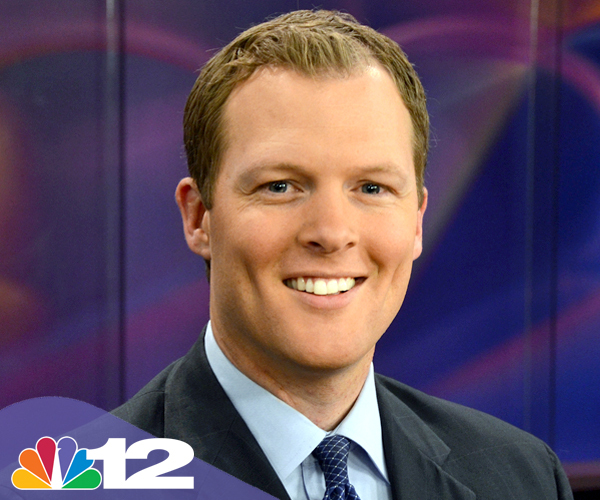 ….read and see the rest of the story at NBC12.com. Republicans and Democrats have picked sides in a battle over the response by State and Capitol Police to an abortion rights protest that led to several dozen arrests on Saturday. Democrats spent Monday attacking the decision by Capitol Police to call in State Police reinforcements to break up what they describe as a peaceful protest. In press releases, on social media and on the floor of the House and Senate, democratic leaders evoked strong language as they expressed their displeasure with police in riot gear breaking up the protest and forcibly removing protestors from the steps of the Capitol. Many of these democrats found a way to lay much of the blame on Governor Bob McDonnell. Democratic Party of Virginia Chairman Brian Moran took it a step further. He intertwined the response to the policies of the McDonnell administration and continued to push the narrative that McDonnell himself may have called for the State Police to act in the fashion that they did. But McDonnell forcefully defended his role in the Capitol Square showdown. When asked directly by our Andy Jenks if he ordered the State Police to break up the protest the governor did not mince words. “Absolutely not. See, that’s the problem. And that’s been the problem for about a month up here,” McDonnell said. “People saying things of which they have no direct information. And saying things that are just flat not correct.” McDonnell said he was at the CAA basketball tournament during the protest and did not learn what occurred until well after the situation had ended. But while McDonnell defended his own role, Lt. Governor Bill Bolling and GOP members of the House and Senate attacked democrats for their criticism of law enforcement. Bolling, a candidate for governor in 2013, said that they “owe Capitol Police an apology” for the way they assailed them on the floor of the General Assembly. Senate Majority Leader Tommy Norment (R) explained that leaders of the House and Senate had worked with Capitol Police to develop a contingency plan in the event that protests in the 2012 session threatened the civil assembly of the legislature. He said those plans were agreed to by republicans and democrats. He contended that the police were just doing their job and hinted that democrats were encouraging the partisan divide as a way to avoid talking about the stalled budget process. And as the rhetoric heats up, the ultrasounds before abortions, which sparked the protest, remains sitting on Governor McDonnell’s desk waiting for the final salvo in what has been a divisive fight over social issues. A fight that has drawn clear lines between republicans and democrats and in most cases, where you sit on those issues seems to be directly linked to how one views the response to the weekend protests. See Ben Garbarek‘s report on NBC12 on those arrested on Saturday, which includes an explanation from Capitol Police as to why they responded in the way they did. Saturday was a hectic day at the State Capitol. As our Ben Garbarek reported, several dozen people were arrested after a protest. This was another in a series of mass gatherings designed to stop controversial legislation aimed at abortion. This particular gathering was specifically designed to encourage Governor Bob McDonnell to veto legislation that would require an ultrasound before an abortion. As Ben reported yesterday, the protest was peaceful and for the most part, within the standards set up by the General Assembly when it comes to mass gatherings at the State Capitol. Roughly one thousand people set up at the Bell Tower to send a message to the governor regarding the legislation. However, things took a turn when a small group of protestors decided to assemble on the steps of the Capitol building. A maneuver that is specifically prohibited by the Department of General Services regulations. Capitol Police asked the Virginia State Police for help in breaking up the situation. The result was a moment that created unpleasant optics. State Police in full riot gear forcibly removing Virginia citizens from a public building. Many of them arrested and temporarily detained. In the wake of the event, supporters of the protestors were strong in their criticism of State and Capitol Police. They argued that there was no violence or counter protest and that the police presence far too much. Many specifically blamed Governor McDonnell and claimed he “ordered” the police to respond in the fashion that they did. According to representatives from both the State and Capitol Police, it doesn’t work that way. Pike told me that he takes personal responsibility for the way his team responded to yesterday’s protests and that their action had nothing to do with the group or their beliefs. He claims that he was simply enforcing laws that have been on the books since 1972. Richmond Del. Delores McQuinn is among those reacting strongly to the way the Capitol Police handled the situation. Despite the fact that a small portion of the group was in violation of the regulation, McQuinn and others argue that it did not require the heavy-handed response by the officers. They believe that there was not the type of threat that required police in riot gear. Pike believed they had no choice and despite his efforts to ask the group to leave, they resisted. When they started to assemble on the steps of the Capitol, that was when Pike claims they were forced to take action. Despite all of the activity, the governor never got involved. But the result was a scene that everyone wanted to avoid. Police in full riot gear dragging protestors off the steps before piling them into vans under arrest. Pike said it is standard protocol to have State Police on standby. Corrine Geller of the Virginia State Police confirmed that they were ask to provide support, not by the governor or his Commissioner of Public Safety, but by Pike and his team. Obviously this is a topic that elicits strong opinions from both sides. I appreciate any and all feedback, but please attempt to keep your comments civil and thoughtful of others points of view. It has been a General Assembly session filled with passion, anger and angst. Protests and counter protests have become a regular occurrence and the responsibility of keeping the peace falls with the Virginia Capitol Police force. It hasn’t been easy. The Capitol Police force successfully managed several protests both for and against controversial bills dealing with abortion. Abortion is a topic that often brings out very heated emotions. Who can forget the anger that was unleashed in the moments after a Senate committee passed the “personhood” bill and a bill to require ultrasounds before abortions? 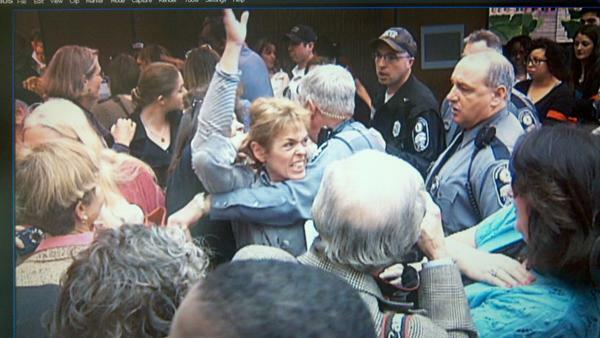 Our photographer Nathan McCann captured this moment of a protestor being held back by a member of the Capitol Police. The Capitol Police were called into duty again Monday night. A group quickly organized a protest of the pending “ultrasound before abortion” bill and asked supporters to gather in front of behind the Governor’s mansion to voice their displeasure. Not long after the group of 50-100 protestors gathered, Capitol Police quickly came in and asked the group to leave Capitol Square. Note: I misunderstood the path of the vigil in my discussions with Pike and Whiting. Vigil participants silently walked by the General Assembly building on Broad Street and then assembled behind the Executive mansion on Governor’s Street. At no point did they enter or attempt to set up in Capitol Square. That was my mistake and I apologize for the incorrect information. Capitol Police Chief, Col. Anthony “Steve” Pike said the response by his officers was appropriate and designed to protect not only visitors to Capitol Square that have nothing to do with the protest, but the protestors themselves. Pike said that it is his squad’s responsibility to enforce the regulations set out by the Virginia Department of General Services, which operates the Capitol grounds. He said this group, made up of various representatives from different women’s rights organizations, did not apply for a permit, despite efforts by his department to reach out to the group ahead of time. Those regulations require the protest to occur near the Capitol Bell Tower. It also restricts how long the event can take place. Whitney Whiting was one of several organizers of the event and admitted the group did not even attempt to obtain a permit. She said their goal was to have a peaceful protest, that would garner the attention of lawmakers in control of the issues they were concerned about. Chief among them, Gov. Bob McDonnell. Whiting and Wilmore both describe seeing police in full riot gear, and in numbers that were not proportional to their peaceful gathering. Pike agreed, the protest was peaceful and those in attendance were cooperative with his officers. He explained that in addition to Capitol Police, the State Police was on hand guarding the Executive Mansion. The Virginia State Police handles all protection of the governor and his family. The governor has no say in the level of that protection. He also said that the perceived heavy level of force was not there to keep the protestors in line, but to prevent a serious incident if a counter protest were to erupt. Whiting said that despite their imposing look, the Capitol and State Police forces were polite and were not verbally or physically threatening. She was surprised they were ask to turn off their electronic “candles”. Regardless, she hopes the overall message was received. As for Pike, he encouraged anyone with questions to get in contact with his office or the Department of General Services so that they can help coordinate any demonstrations. He expressed his disappointment about the perception left behind by the incident and was emphatic that not one of his officers was there to interrupt or intimidate those expressing their first amendment rights. It has been an interesting year in the Virginia General Asssembly. Monday night at 11 on NBC12 I took a look at the “legislative laugh factory”. Amidst the hot topics at this year at the General Assembly — there’s also been a lot of laughs. The respected institution has generated plenty of comedy in 2012, some by accident, and others on purpose. The Virginia General Assembly is the oldest legislative body in the Western Hemisphere. It has survived both the Revolutionary and Civil Wars, and counts presidents among its alumni. It makes you wonder what has happened in 2012. You’ve seen the late night jabs taken at Virginia’s expense. “I love transvaginal. It’s my favorite airline,” said Amy Poehler on NBC’s Saturday Night Live referring to the heated debate over Virginia requiring ultrasounds before abortions. But as groups like Saturday Night Live use the Commonwealth as comedic punching bag, members of General Assembly have decided to make jokes of their own. Late last week, Albo regaled his colleagues with a story of romancing his wife. It was something that was interrupted by the national coverage of the Virginia legislature. Note, the use of the word “gentleman”. Then today, Del. Scott Surovell a Democrat from Northern Virginia stepped to the microphone to debate against the “castle” doctrine which would allow someone to use deadly force to protect their home. The back-and-forth led to hearty laughs from both republicans and democrats. And the Albo clip. (our version) The version from the blog Not Larry Sabato has recieved over 200 thousand views.